SAN FRANCISCO--(BUSINESS WIRE)--Splunk Inc. (NASDAQ: SPLK), first in delivering “aha” moments from machine data, today announced that it has closed the acquisition of VictorOps, Inc., a leader in DevOps incident management. 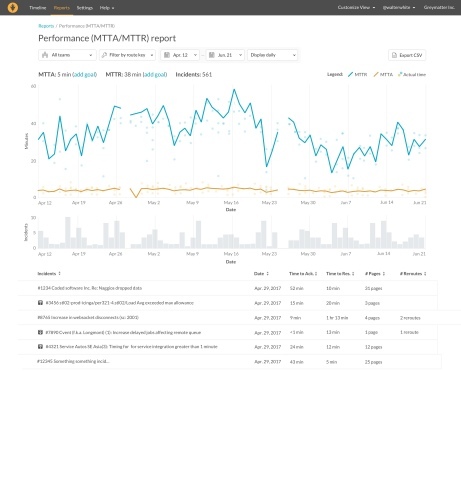 In combination with Splunk, VictorOps’ incident management platform gives DevOps teams an analytics-driven platform to help collaboratively monitor, resolve and prevent issues that degrade customer engagement. For more information, visit the VictorOps website to register for a free VictorOps trial. The aggregate purchase price for the transaction was approximately $120 million, excluding adjustments, paid in cash and Splunk securities. The combination of Splunk Enterprise and VictorOps will deliver a ‘Platform of Engagement’ – combining monitoring, event management, on-call management and ChatOps. Supercharged by machine learning (ML) and artificial intelligence (AI), the combined technologies will not only give development and DevOps teams the ability to accelerate incident resolution, but also to learn from past actions to make proactive recommendations. For more information about Splunk and VictorOps, visit the Splunk website. This press release contains forward-looking statements that involve risks and uncertainties, including statements regarding the expected benefits of the acquisition of VictorOps, the impact of the acquisition on Splunk’s existing and future products and services, and the capabilities of VictorOps’ products and services, including when combined with Splunk’s. There are a significant number of factors that could cause actual results to differ materially from statements made in this press release, including: difficulties encountered in integrating the business, technologies, personnel and operations; costs related to the acquisition and integration; market acceptance of the acquisition and resulting products and services; Splunk’s inability to realize value from its significant investments in its business, including product and service innovations; and general market, political, economic and business conditions.